A Nepalese man outside his room at a camp for foreign workers in Doha on May 3, 2015. 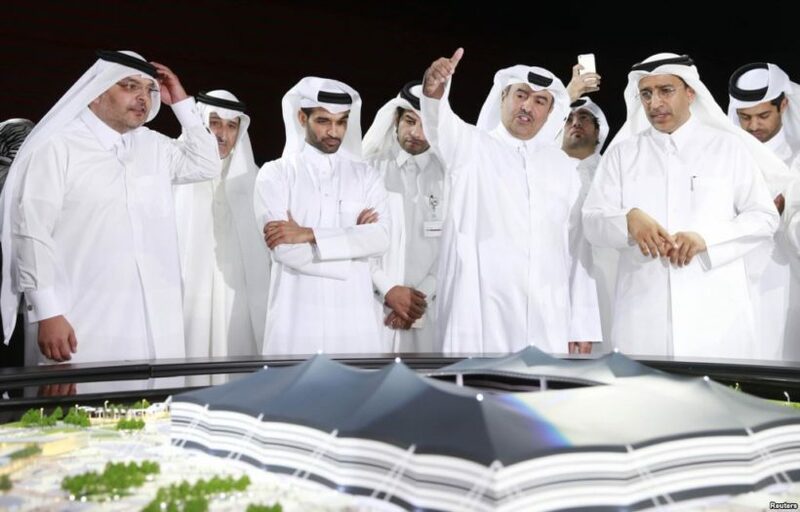 (France24) – Migrant laborers faced abuse that in some cases amounted to forced labor while working on a stadium that will host soccer matches for the 2022 World Cup in Qatar, a new report released by Amnesty International alleged Thursday. Rights groups and news organizations have previously raised serious concerns about working conditions in Qatar, but the latest Amnesty report stands out because it links alleged mistreatment directly to work on a World Cup venue (stadium). The group’s findings will intensify pressure on Qatar to accelerate labor reforms as the tiny and immensely rich Gulf country races to transform itself with sweeping infrastructure projects ahead of the games. Each reported going into debt to pay recruitment fees – illegal under Qatari law – ranging from $500 to $4,300 to secure work. 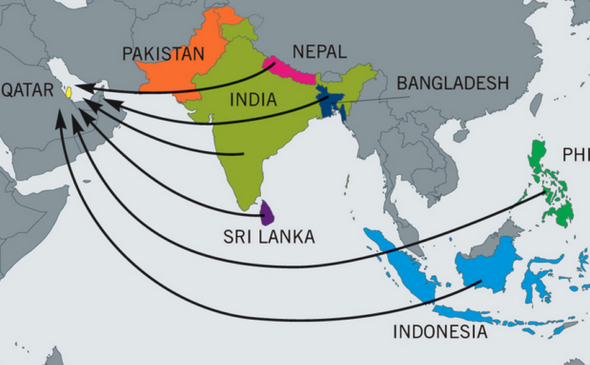 Most discovered on arrival that they would be paid less than promised by recruiters back home. Some of those interviewed reported earning basic salaries of well below $200 a month, plus allowances of around $50 a month for food. The report’s most damning findings center on what Amnesty says is evidence of forced labor involving workers employed on the refurbishment of the Khalifa stadium, a venue first built in the 1970s that is being overhauled to host World Cup matches. It acknowledged that “challenges remain” and said it will continue to urge Qatari authorities and others involved to take steps that ensure that standards put in place by Qatar’s Supreme Committee become the benchmark for construction work in Qatar. (London’s Daily Telegraph) – Austria has announced tough new plans to reject almost all asylum-seekers at its borders as it continues a crackdown against migrants. Under the new measures, all asylum claims will be decided within an hour at the country’s borders. Only migrants who have an immediate relative already granted asylum in Austria will be allowed to enter. Applicants who are at risk of death or inhumane treatment if they are not granted asylum will also be allowed in. But in practice almost no one will be able to claim asylum on the grounds of physical danger as they will be judged to be safe in the neighboring European countries they have travelled through. All migrants whose claims are rejected will be turned back at the border. “We will not accept any applications for asylum unless we are obliged to under criteria such as Article 8 of the European Convention on Human Rights,” Johanna Mikl-Leitner, the Austrian interior minister, said. Werner Faymann, the Austrian chancellor, indicated the country will no longer allow asylum-seekers to cross its territory on their way to Germany. If Germany wants to accept asylum-seekers, “they must be picked up from where they are, before they make an illegal journey,” Mr. Faymann said. The new plans come after a quota system imposed earlier this year by the Austrian government to limit refugee numbers was ruled illegal by its own experts. In January, the Austrian government announced it would only accept 37,500 asylum-seekers this year. It later moved to impose daily caps. But the European Commission challenged the quota policy as illegal under EU law. Chancellor Faymman’s government appointed its own panel of experts to examine the policy, but they ruled it was illegal. The numbers of migrants traveling through Europe has fallen dramatically since Austria and other countries moved to close their borders. But German Chancellor Angela Merkel has accused them of creating a new humanitarian crisis in Greece by confining migrants there. (The Financial Times) – China is rolling out a nationwide system of social control known as “grid management” in a revival of the Communist government’s state presence in residential life that had receded during recent decades. …Small police booths and networks of citizens have been set up block by block to reduce neighborhood disputes, enforce sanitation, reduce crime — and keep an eye on anyone deemed a troublemaker. 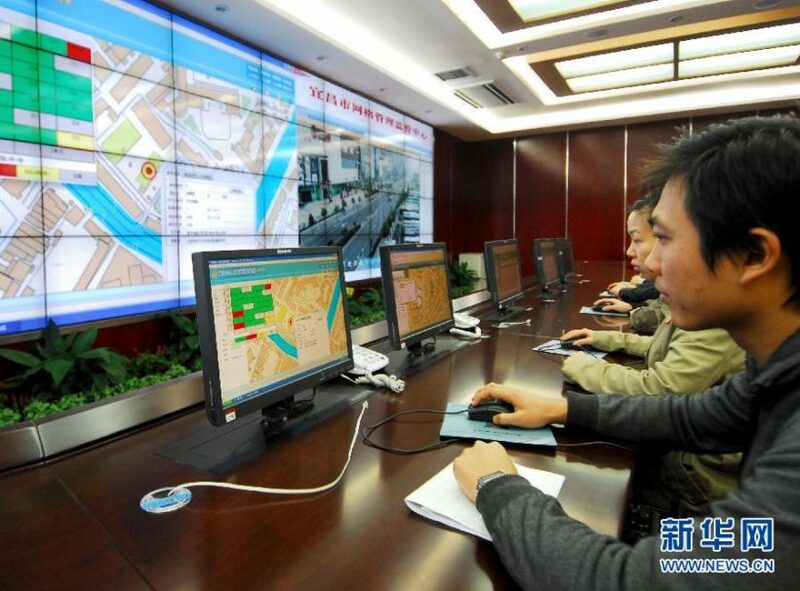 Grid management center in Yichang, Hubei province. The rollout coincides with a broader tightening of state control over citizens’ everyday life and crackdown on dissent under President Xi Jinping. During a recent journalists’ tour of the politically sensitive Tibetan capital of Lhasa, officials credited grid management for the calm and order in the city. The mass troop deployment that followed a 2008 riot was no longer visible, although local residents said the heavy security presence was reinstated during Tibetan holidays or sensitive anniversaries. As well as small police booths that stud residential blocks in Lhasa, there are police booths at the entrance to villages around the city, as well as much larger checkpoints set up like tollbooths on the roads leading into larger towns. The system is being introduced relatively late in Guangzhou, the traditionally more freewheeling south. The city plans to hire 12,000 grid administrators so each can be responsible for 200 families. Like many government plans in China, the numbers appear to be based on the population of registered residents, not the migrants who swell into big cities. “If a grid administrator is responsible for 200 families, he can roughly remember who is in his grid in one month’s time and grasp the basic information of each family in about three months’ time. In six months’ time, he can count every member of those families,” Guangzhou’s mayor, Chen Jianghua, was quoted as saying. b) How many migrants live in Qatar? Where are they from? c) What type of problems (bad treatment) do migrants experience in Qatar? FIFA awarded Qatar the 2022 World Cup in 2010. 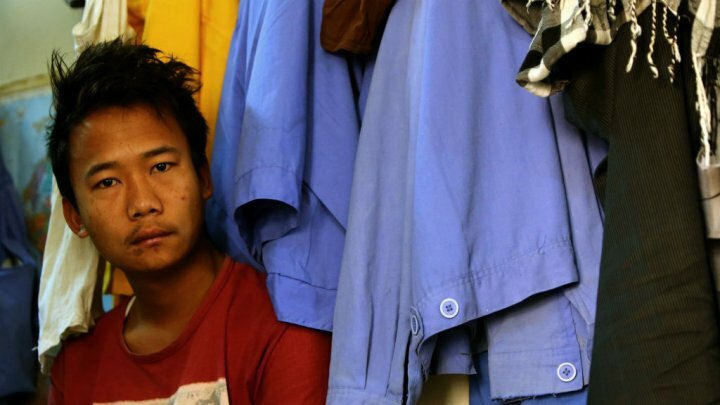 Six years later, Qatar has not changed its treatment of migrant workers. 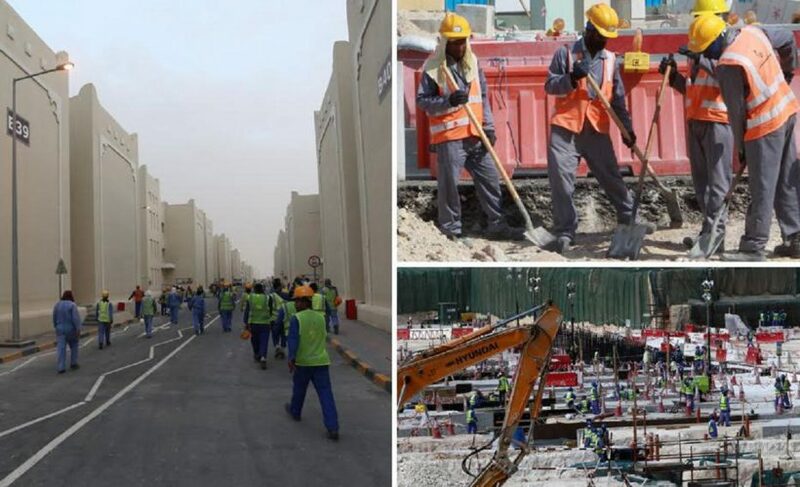 The Qatari government says it has already made changes to protect workers and it is committed to doing more, calling its reform efforts a “work in progress.” It said in a statement that worker welfare is a top priority and it welcomes efforts by Amnesty and others. The U.N.’s International Labor Organization has given Qatar one year to act on findings by its delegation or face the possibility of a formal “commission of inquiry” by the U.N. labor agency. In December 2015, FIFA hired a Harvard professor to draft human rights requirements for World Cup hosts and sponsors. FIFA told the AP it remains “fully aware of the risks facing construction workers in Qatar and of the opportunity that FIFA, together with other stakeholders, has to facilitate the improvement of working conditions in the country.” It acknowledged that “challenges remain” and said it will continue to urge Qatari authorities and others involved to take steps that ensure that standards put in place by Qatar’s Supreme Committee become the benchmark for construction work in Qatar. Should Qatar have first proved that workers were treated fairly before being awarded the 2022 World Cup, or do you think it was better for FIFA to give them the opportunity first and allow them 12 years to ensure fair treatment of workers? Explain your answer. b) Which applicants will still be granted asylum? Why will that number be minuscule? c) What effect has Austria and other countries’ move to close their borders had on the number of migrants traveling through Europe? d) Austrian Chancellor Faymann said if Germany wants to accept asylum-seekers, “they must be picked up from where they are, before they make an illegal journey.” German Chancellor Angela Merkel has accused Austria of creating a new humanitarian crisis in Greece by confining migrants there. 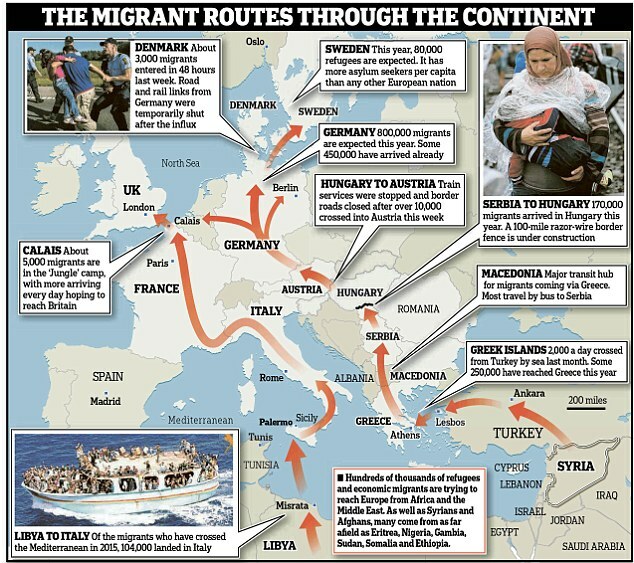 Who do you think is responsible for creating a humanitarian crisis, Angela Merkel for giving migrants the hope that they can travel to Europe and be granted residence, or Austria and other countries who are attempting to protect their own citizens by slowing the flow of migrants from Middle Eastern and African countries? Explain your answer. e) It has been suggested that the EU and Turkey establish a “safe-zone” over the border in Syria where those in danger can stay until the war is over. Ask a parent which policy he/she thinks makes more sense: the “safe-zone” on the Syrian-Turkish border, or Angela Merkel’s policy of welcoming millions of migrants to Germany as well as requesting all European countries accept many migrants. b) What does the implementation of the grid management system coincide with in China? c) What is the Communist government’s grid management system? Be specific. d) How does Li Dun of Tsinghua University in Beijing describe the purpose of the grid management system? Qatar has announced planned changes to its “kafala” employee sponsorship system, which critics say leaves workers open to exploitation and abuse. The system, versions of which are used throughout the oil-rich Gulf states, gives bosses considerable power over workers by effectively binding them to a given employer and, in Qatar’s case, forcing them to secure exit permits before they can leave. Changes signed into law by Emir Tamim bin Hamad Al Thani last October are designed to make it easier for employees to change jobs or leave. Workers still won’t be able to immediately change jobs or depart whenever they want, however, and the changes don’t take effect until later this year. The government has already made other changes, including moving some laborers into improved accommodations and instituting a “wage protection system” to tighten oversight of salary payments. Hukou, a system of residency permits, was used by China’s Communist Party beginning in 1958 to minimize the movement of people between rural and urban areas. Chinese citizens were classified as urban and rural based on their hukou; urban residents received state-allocated jobs and access to an array of social services while rural residents were expected to be more self-reliant. 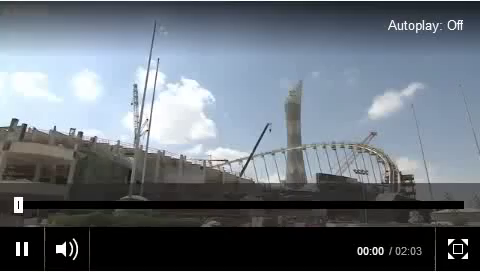 QATAR: FIFA announced in December 2010 that Qatar will host the 2022 FIFA World Cup. Much controversy surrounded this choice. Read the wikpedia entry about the 2022 World Cup in Qatar. AUSTRIA: What is the difference between a migrant and a refugee?